I’ve made some great new colleagues in the creative world thanks to my involvement in COMMON Pitch: South Africa. From the mentors who spoke at our preparatory workshops to the fantastic and dedicated entrepreneurs, I learned a lot from all involved. The project was much more than a single evening: it was a goldmine of professional development and the beginnings of a global network of social entrepreneurs who intend to change the world. The night was in partnership with US-based COMMON, headed up by our MC for the evening, Richard Demato. While the audience enjoyed the food market, live music and bar, I was sweating backstage in the cavernous venue with COMMON’s producer Katie Brennan. Katie was preparing our 11 teams of entrepreneurs as they prepared to present their social impact businesses live on stage to an enthusiastic crowd. It was quite the international line-up that night, with our esteemed judging panel hailed from Scotland, Italy, South Africa and the US, divulging frank opinions on the viability of the presentations. The teams themselves zoomed in from Chile, China, Sweden, Kenya and South Africa. 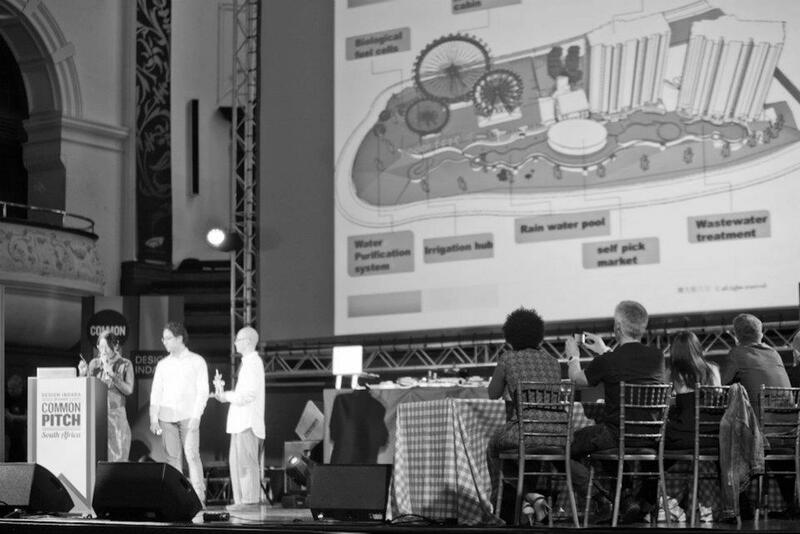 Not only did they fight for their projects before a panel of dragons judges, they presented on a genuinely enormous stage at City Hall, with their presentations beamed onto the biggest screen I’ve seen outside an Imax – and they made the crowd go wild. There were whoops and cheers and standing ovations from the floor – you could hear it in the nervous green room and outside on the street in the warm night air. Audiences in Cape Town are really refreshing, so far removed from the polite but expectant Edinburgh crowds and the cynicism of so many UK events. They go with the flow, suspend any disbelief and truly welcome any performers put before them. Such an atmosphere is a delight to work in. 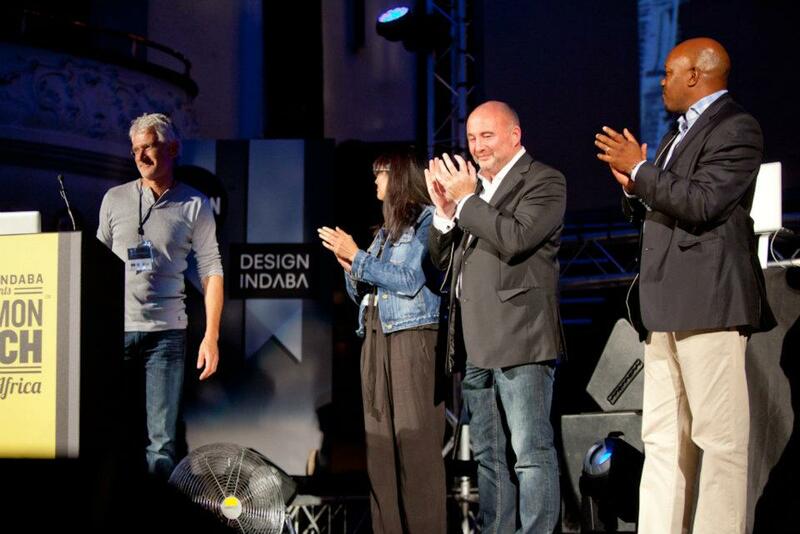 Design Indaba gave away R390 000 that night – about £32,500 – and it felt good. Congrats to our trio of winners: top prize to Dr Johnny of EarthBagBuild, a low-cost sustainable community house-building; the Innovation Award to stunning student entrepreneur Headboy Enterprises; and runner-up EcoPost. Crowd favourite was the landmine-clearing device Mine Kafon, with honourable mentions to VENT, Bridgit, WeTheChange, Crowdplaces, Wheel Farm, Café Mal and Mpower. COMMON Pitch: South Africa was a complex event to run, with a vast old venue to adapt, numerous timezones between the teams involved and every working relationship was totally new to me, from media links and stakeholders to event and techie folk, the Mayoral security staff and all our entrepreneurs and judges. It was heartening to hear the audience enjoy it so much, and people have taken time to give really solid feedback: if there’s a next time then I’m some of those complicated aspects could be smoothed out to ensure it’s another great opportunity for social entrepreneurs, as well as a great night out. COMMON seems interested taking Pitch to Scotland – I think it’s an event that’ll be right up our alley, and we’d have a lot of fun with it. The focus could be renewable technologies, or digital innovations, though sustainable cultural projects may also be a good fit with current thinking back home. 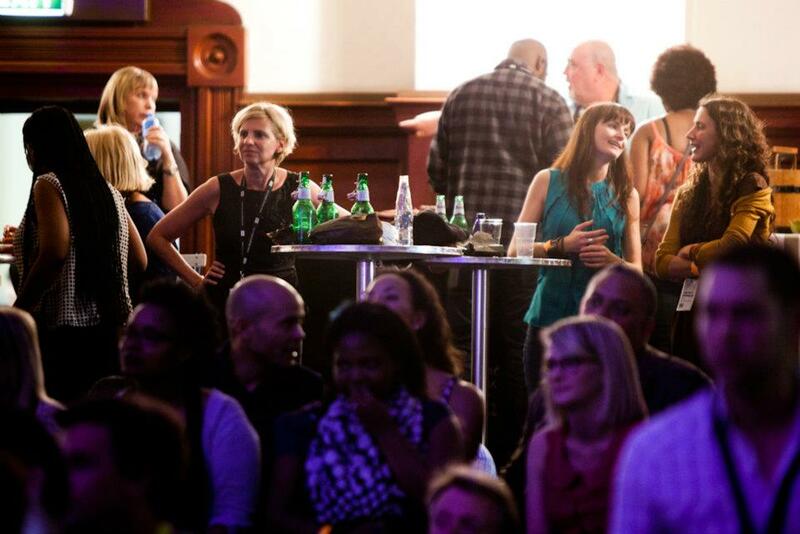 Pictures courtesy of Design Indaba photographer Jonx Pillemer. Adventures from Anna in creative Cape Town and at the inspirational Design Indaba. Anna’s ICE Fellowship – my International Creative Entrepreneurs (ICE) Fellowship in South Africa is part of Creative Scotland’s innovative Creative Futures leadership fund. New Era South Africa – exhibition transforming baseball caps into visions of the future. Dreamscapes & Tuk-tuks – film and photography of a wild race around Sri Lanka. 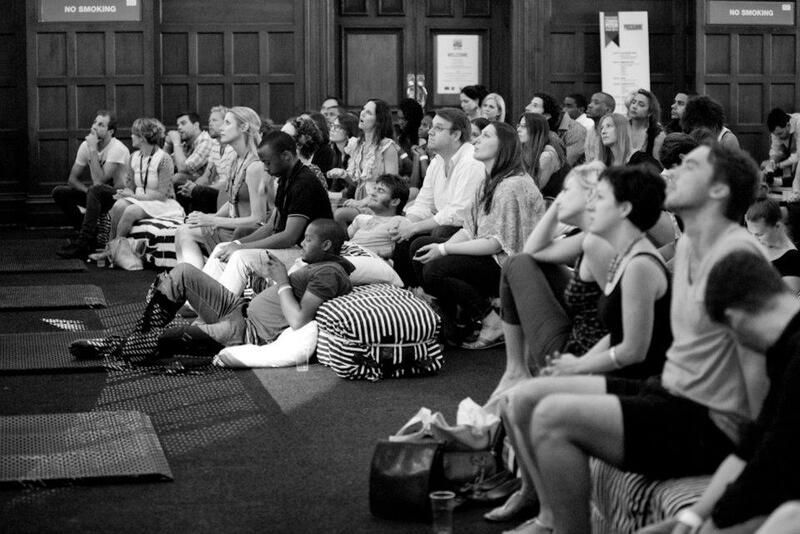 Welcome to Design Indaba – the mind-expanding conference & showstopping Expo.